Web Pages for Meat & Sausage Manufacturing | Abbyland Foods, Inc. Check out our new website! Our new site is responsive, meaning it will respond to any size laptop, tablet and phone! 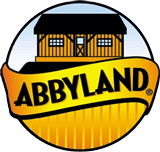 Don't forget to like us on Facebook to stay up to date on all the latest news about Abbyland Foods.